Is a Career as a Real Estate Agent Right for You? A lot of people think that a real estate career is easy money, and it can be—usually after a while. And there's a lot more to it than that. You don't have to be a "salesperson" to make a good living in this field. Real estate is primarily a service business, so serving your clients well contributes to your success. But many people have found real estate to be a natural transition from another sales career and they feel that it's more fulfilling. After all, you're helping people with what's often one of the largest financial transactions they'll make in their lives. Of course, every career has drawbacks. It's a matter of balancing the good against the bad and gauging your tolerance for the bad. 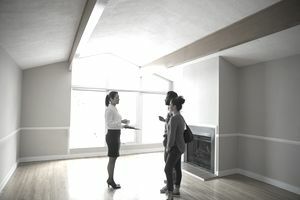 You're your own boss as a real estate agent, but this comes with a good deal of added responsibility and a bit of a cash investment to get started. You don't need a college degree to become a real estate agent, although education is typically helpful in any career you pursue. States almost universally require that you have at least a high school diploma or GED, and you must be at least 18 years old. Some states have training requirements and you'll have to pass a licensing exam, but you can do this in much less time than it takes to earn a bachelor's degree. Starting out, you'll most likely have to complete a pre-licensing course, but the investment of time can be minimal, as little as 30 days from start to finish. The exam itself can be challenging in some states. It's often divided into a state-level section with a second part dedicated to national laws and issues, and you'll have to pass both. The National Association of Realtors regularly sponsors courses that you can enroll in to prepare yourself, and they'll look great on your resume, too. You're typically stuck with the same wage or salary week in and week out when you work a conventional job, unless and until your employer decides to be magnanimous and offer you a raise. Any limits to your eventual earnings are those you put in place yourself when you're a real estate agent. How much you earn tends to be directly proportional to how much and how hard you work. That said, the word "eventual" is key here. You won't reap a windfall your first week on the job. It simply doesn't happen that way, and you should be prepared to deal with that. It can come down to your temperament and your tolerance for a little financial stress. You'll have to spend money to get started. There is the licensing exam and any training you'll need to start. You'll also need business cards, a marketing budget, and a decent, reliable car. And you'll have all your own personal bills to pay as well. Some experts advise that it could six months to a year before you receive your first commission check because commissions are typically paid at the end of transactions. You'll have to put in a fair bit of work to get to that point, and you'll need ample savings to survive during that time. Real estate agents earn a median salary of about $47,880 as of 2017, according to the Bureau of Labor Statistics. Median means that half of all agents make more than this and half earn less. And this encompasses those who regularly deal in seven-figure properties as well as agents who dabble in the field part-time. The two extremes tend to balance out the numbers. This perk comes with a caveat, too, and it comes down to what's important to you. Nobody is going to require that you punch a time clock at 9 a.m. and stay planted at your desk until 5 p.m., Monday through Friday. You can set your own hours, and you can move them around to accommodate your personal needs. If you like to pick up your child from school, you can do that. The flip side is that many of your real estate clients will be punching time clocks or will be otherwise confined to set working schedules. You'll have to make yourself available when they are if you want to do a good business. This often means working nights, weekends, and even some holidays. The helping aspect of real estate work is a big advantage for altruistic types. Your clients are on the verge of taking what might be the most significant financial step in their lives, perhaps buying their first home or selling their long-time family home to downsize because they're retiring. In either case, you can expect nerves and sometimes buyers' or sellers' remorse. You don't need a Ph.D. in psychology to handle all this, but having a lot of compassion and patience can help, particularly if you enjoy giving freely of both. Today's technology and the mobile world can help agents who aren't exceptionally people-oriented to become successful in real estate. If you can work a good website that's mobile device-friendly, if you can handle some social website posting, and if you respond quickly to emails or text messages, you should have a real chance to connect with prospects. You'll probably find very diverse reasons for choosing a real estate career if you question a group of brand-new agents. Many love the helping nature of the job, while others want to exercise their independent nature and be their own bosses. But it takes commitment and an investment of effort, time, and money to build a successful real estate career. You'll get a lot in return. You're an independent contractor, so you can control your own business. Your income isn't limited. It's based on your skills and your work ethic. You can build future business with great service and client referrals. If you're an independent contractor, you're on your own when it comes to making sure your business thrives. Income can be a long time in coming when you first start out. The early months and years in real estate can be feast or famine until you get going. There's a high failure rate for new agents. Liability and risk are part of representing clients. You'll need insurance because some mistakes, such as failing to disclose a material fact about the property or neglecting inspections, can get you sued. •You're an Independent Contractor and control your own business. •Your income isn't limited & based on your skills and work ethic. •Set your own work schedule and vacations. •Work outdoors and in varied locations. •Build future business with great service and client referrals. •Enjoy helping people in one of their largest financial transactions. •You're an Independent Contractor and on your own to learn the business. •Income can be a long time getting going and "feast or famine". •You have to be available when the clients want you. •There's a high failure rate for new agents. •Liability and risk are part of representing clients.